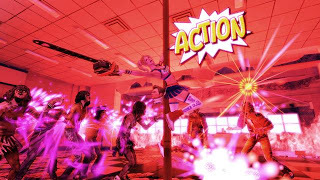 Following the formula of No More Heroes, Grasshopper Manufacture's Lollipop Chainsaw is equal parts violent hack-and-slash and comedic romp through the zombie-infested city of San Romero. Juliet Starling arrives at school on her eighteenth birthday to discover that an emo student named Swan has unleashed the armies of the undead. Juliet - born into a family of zombie hunters - fights her way through the sea of zombies until she finds her boyfriend Nick, who - attempting to protect Juliet - becomes infected himself. Very much in love with Nick, Juliet performs a magical spell that allows her to remove Nick's head and keep him alive, while his body cannot be saved. Chainsaw in-hand and Nick's decapitated head hanging from her belt, Juliet vows to undo Swan's work. Juliet avoids typical blonde ditz clichés due to the fact that she is a Zombie Hunter and has a game plan in mind with each new peril she faces. Some of her behavior does come across as silly, but that is primarily a result of her innocent nature combined with her bloody line of work. These two opposing forces allow her to become a truly memorable protagonist, and quite a likeable one at that. Nick is a source of great humor as well, considering he is more or less along for the ride, and is well aware that he is by far the most normal and sane member fighting the undead - the rest of whom are all members of Juliet's family. He constantly quips about his lack of a body, but also acts as eyes in Juliet's blind spots, rooting her on as she dishes pain to the zombie masses. The games' jokes and one-liners bounce back and forth between stupid and uninspired to rather clever set-ups. Some NPCs swear simply for the sake of reminding players that Lollipop Chainsaw is an M-rated game, while the majority of Juliet and Nick's conversations are as cutesy as they are awkward and entertaining. Each of the boss characters represents a different genre of music, with most bearing a resemblance to a specific famous musician. These character designs, as well as much of the dialogue, are far less subtle parodies than what Grasshopper Manufacture presented in No More Heroes. 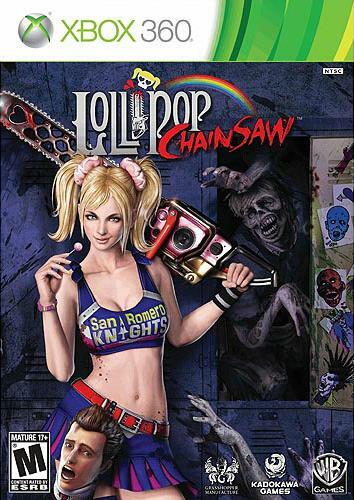 While Lollipop Chainsaw may not win any awards as a comedic work, the B-movie atmosphere is consistent and the game does not take itself too seriously, despite the writers seeming to think it is more cleverly-scripted at times than it actually is. While the earliest levels take place in bubbly cheerleader/zombie hunter protagonist's high school, later stages explore the greater area surrounding the school. Most stages incorporate some sort of minigame element, though the core of the gameplay lies in pom-pom hits, chainsaw swings, and the resulting combos you can chain together. Certain attacks will be unlocked as part of the game's natural progression, but most will be unlocked through the in-game store by spending medals earned from zombie hunting. This allows for a significant degree of freedom, as players can effectively unlock new combos at their leisure, making each person's individual playthrough unique. The gameplay may not be as fluid or exciting as the likes of No More Heroes, but it certainly holds its own in following a similar formula to the combat system in games like Devil May Cry. Nick's head can occasionally be attached to an empty zombie body to open new pathways for Juliet. Using these will prompt a sort of quick-time event that requires players to press specific buttons one after another. It's rather dull, and each of these Nick-on-a-headless-zombie sections must be completed to progress through the entirely-linear game. On the other hand, Juliet can collect Nick Tickets throughout the game which can be spent on a few different attacks that utilize Nick's head, from firing him out of a popper cannon, to spinning him around on a ribbon. These will cause a fair amount of damage to foes and some even grant Juliet temporary damage resistance, acting as an alternative to her other powerful attack that results from chaining enough kills and filling the chainsaw gauge. Once the chainsaw gauge is filled, Juliet can temporarily power up her swings and slashes, making them rainbow colored and briefly granting her invincibility. Decapitating three or more zombies at once rewards Juliet with a large sum of medals, and this is made much easier in her powered-up state. While the fighting is largely repetitive, the game mixes the experience up by placing environmental barriers that Juliet must cut down, encouraging players to race across rooftops with the chainsaw dash ability, and placing Juliet within classic arcade games like Pong and Pac-Man. Each boss fight has multiple phases and distinguishes itself from the others very well. One element the whole experience seems to lack is something to properly connect the different stages. The story does well enough to explain why Juliet and Nick land on a farm and need to scale a skyscraper-sized arcade, but each level feels like it could have been expanded upon. The game only lasts around six hours, and while it does encourage multiple playthroughs for completionists, there seem to be a lot of missed opportunities on the part of the development team. The game also lacks much of a challenge factor. For fans of typical action hack-and-slash games, the normal difficulty setting will be a walk in the park, and even rookies of the genre will likely find the challenge at least a little underwhelming. Meanwhile, the harder difficulty settings do little more than restrict your stock of health-rejuvenating lollipops. Graphically, the game looks okay - nothing more, nothing less. There is a subtle cel-shaded look that layers everything, adding to the comic book style the game tends to lean toward in its overall artistic presentation. While character models are well-animated, textures and character models themselves do not look particularly good when compared to many other games of this generation - due in large part to the aging of the Unreal Engine - and the game's brightly-colored environments do little to mask this visual shortcoming. On the other hand, the soundtrack is a standout part of the game's presentation. The original score is upbeat and action-oriented, while licensed tracks like Toni Basil's "Mickey", Dead or Alive's "You Spin Me Round (Like a Record)", and Skrillex's "Rock n' Roll (Will Take You to the Mountain)" are plain fun to listen to and add an extra level of pep and silliness to the cheerleader-driven narrative. Though few and far between, there are a handful of moments where the audio mixing becomes very unbalanced, and it is difficult to hear scripted dialogue over environmental noises. There are ranking modes and plenty of unlockable costumes, but the core of the experience lies in playing through the story. A single playthrough of Lollipop Chainsaw will only last a few hours, which may be a deal breaker for some, especially when stacked up against its contemporaries. Fans of Grasshopper Manufacture and Suda51's previous work will no doubt feel at home, though they may not be laughing quite as hard nor as often as usual. 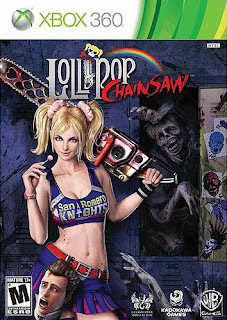 Lollipop Chainsaw is fun, fast-paced, and the individual levels are well-developed. Unfortunately, the game lacks significant extra substance to land it a spot comparable to other games of its kind. While I am a big fan of Nintendo’s Metroid franchise, I have more experience with the 3D Prime titles than most of the traditional side-scrolling adventure releases. I played through both the original Metroid and its remake, Metroid: Zero Mission – two games which I quite enjoyed. 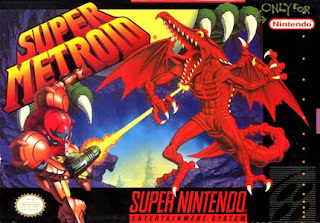 However, I know many gamers who swear by Super Metroid as not only one of the best games in the series, but one of the best games of the SNES-era. Eager to check it out, I downloaded Super Metroid from my Wii’s Virtual Console library. 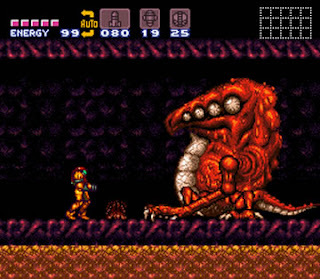 Fans of the original Metroid or Zero Mission should feel right at home – Super Metroid sees Samus return to planet Zebes in search of the baby Metroid that followed her home at the end of Metroid II. Ridley and the Space Pirates have captured the baby Metroid, and all-too-familiar with their track record for nefarious behavior, Samus pursues, intent on retrieving the specimen. Samus will retrace her steps through Crateria, Brinstar, Norfair, and so on, while also visiting new and expanded areas. The game does a great job of balancing a fresh and familiar feel, as each major area looks incredibly colorful and detailed. 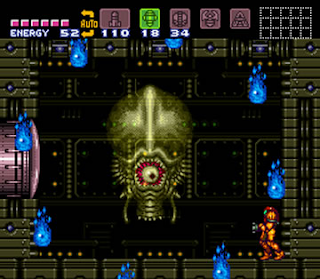 Lighting effects and objects such as pillars and stalactites go a long way in creating an illusion of depth and openness to the regions Samus visits. Meanwhile, the soundtrack walks a fine line between adventurous and eerie, perfectly fitting to one of Samus’ most dangerous missions. The controls are far more fluid and responsive than in the two titles that preceded Super Metroid. Items and upgrades are placed at more intelligent junctures, and it certainly feels like the game does its best to direct you toward each objective, so there will be little time spent wandering aimlessly. Multiple elevators per region makes finding an entrance or exit to another region much easier, though the fact that you are only able to view the map one region at a time (depending on your current location) is mildly annoying. That said, Super Metroid holds a decent challenge factor, and seeking out at least a few non-essential energy tanks and weapon upgrades is recommended due to the gradually-increasing difficulty factor. If there is one thing that drags Super Metroid down, it is the inability to exit certain areas. This really only becomes a problem late in the game, but always occurs immediately prior to a boss fight, and should you have fewer energy tanks or missiles at your disposal than you would like, the degree of frustration it causes can range anywhere from a mild annoyance to thoroughly aggravating. While this sort of thing only occurs a few times during the course of the game, the points where Samus is temporarily stuck are unfortunate, and the problem seems as though it lies largely with a simple oversight on the part of the development team. There are quite a few boss fights in Super Metroid, each with its own unique strategy. Some encourage use of specific weapons, while most follow the traditional pattern of dodging swipes and firing missiles. Regardless of the required approach, the majority of the boss encounters are quite memorable – some not only because of the intensity of the fight but also because of scripted events prior to or during the encounter. As for the lesser enemies, they fit the typical Metroid designs – you can expect to run into Geemers and Shriekbats not long after Samus exits her ship, though later enemies are faster and practically require use of new/upgraded weapons if you hope to gain more health/ammo than you plan to lose. While I thoroughly enjoyed Samus’ first outing, its remake, and even her trip to SR388 in Metroid II (the latter of which I am currently playing through), it is easy to see why Super Metroid is so beloved by fans of the series. It takes everything established by its two predecessors and cleans them up. The experience is far more smooth and streamlined, without sacrificing the challenge factor. Regardless if you are a longtime fan of the series or Super Metroid is your first outing with Samus Aran, it will certainly prove a memorable experience. 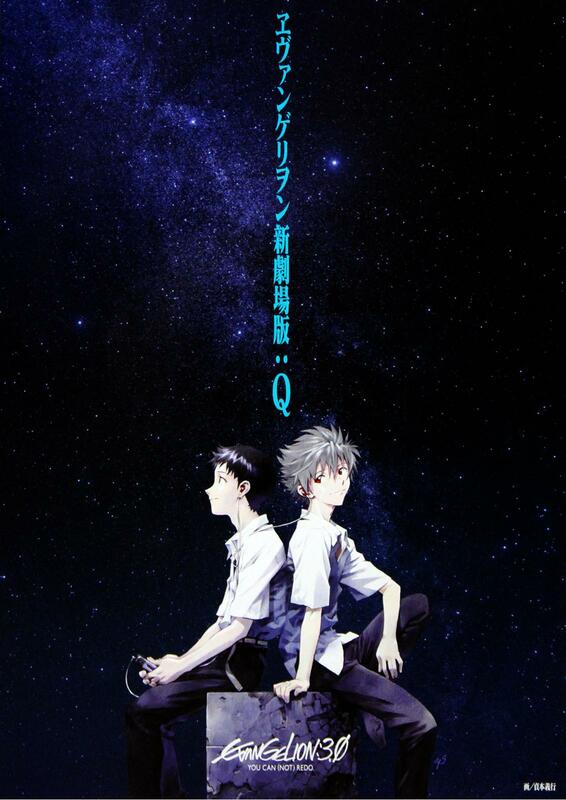 Warning: This review includes some spoiler content for anyone who has not viewed Evangelion 2.22: You Can (Not) Advance, and includes some minor spoilers regarding the plot of the beginning of Evangelion 3.0: You Can (Not) Redo. While I generally try my best to avoid including any spoiler content in my reviews, the nature of the Evangelion films makes this difficult. Evangelion 3.0 is especially tricky to review in a manner that does the film justice, due to how different a direction it travels in comparison to the previous films or the original Neon Genesis Evangelion series. Fourteen years have passed since Shinji Ikari initiated Third Impact and Kaworu Nagisa subsequently intervened with his own Evangelion Mk 06, halting the process. Evangelion 3.0 opens with Asuka and Mari piloting their own Evas in pursuit of Shinji and Unit 01, who are in orbit above Earth and headed planetside in a cross-shaped container. After one very exciting open scene, the group descends through the atmosphere as Kaworu watches on. Shortly thereafter, Shinji awakens onboard the Wunder, the flagship of an anti-NERV organization known as Wille. 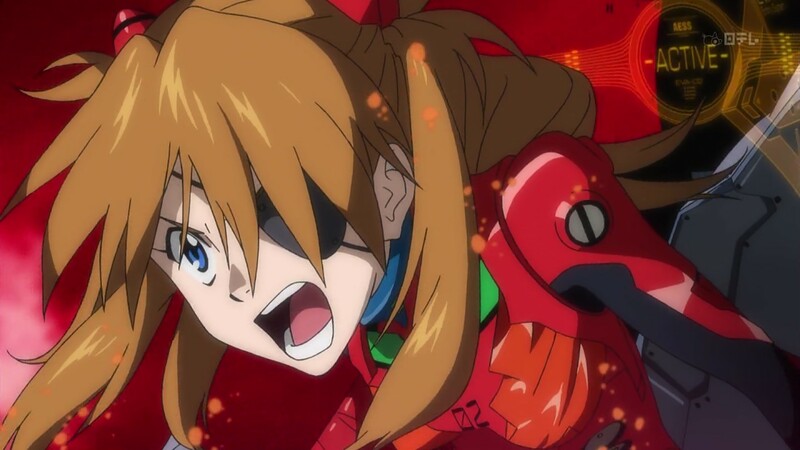 After Wille engages and defeats some enemy forces, Shinji comes face-to-face with Asuka. Glad that she is alive, Shinji asks her what has happened to Rei. Asuka, who is less-than-ecstatic to see Shinji, informs him that she does not know where Ayanami is, which Misato follows up by implying that Rei is dead. Convinced that he was successful in rescuing her during the Third Impact, Shinji begs for someone to explain what exactly is going on, but his time with these familiar faces is cut short, as Evangelion Unit 00 attacks the Wunder with the goal of retrieving Shinji. Though Misato orders Shinji to remain on board the Wunder, going so far as to threaten his life, Shinji leaves with Ayanami and the forces of Wille are ordered not to pursue. Shinji's story in Evangelion 3.0: You Can (Not) Redo is very much one of a stranger in a strange land. At times, it carries a similar tone as Evangelion 1.0: You Are (Not) Alone or even the early episodes of the original anime series, wherein Shinji was scared and confused about what all these foreign pressures being thrust upon him meant and why he was chosen to be a protector of all mankind. But in Evangelion 3.0, Shinji's confusion arises from his fourteen-year absence. The moment he returns to the world, he is caught up in a power struggle, and there is little time for anyone to explain to him just what is going on. Asuka and Misato blame him for the current state of the world, while Rei seems to have completely forgotten the dynamic of her relationship with Shinji. Gendo appears before Shinji only briefly to inform him of NERV's plan to build a new Evangelion, and thus Shinji finds Kaworu the only person he can confide in. Evangelion 3.0 spends less time showing off spectacular battle sequences than the previous installment, in favor of character and plot development. Asuka, Shinji, and Kaworu are easily the three most prominent cast members this time around, though Rei's unfamiliarity with people and habits is of relative significance to Shinji's wrestling with his inner self. The film does well to answer some major questions left lingering from You Can (Not) Advance. A couple of subplots from the original series are revisited and reworked to fit the Rebuild of Evangelion storyline. Religious tones are more specific, with themes of penance for sins and coping with loss taking center stage. Evangelion 3.0 is a much darker film than the two that preceded it, and its second half treads a path that echoes End of Evangelion in certain respects. When the Evas do enter combat, they look even better than during their last outing, and it is really impressive how the animation team manages to work in so much detail to every scene while keeping everything so clean and visually captivating. The design of Mari's Evangelion Unit 08, the Wunder, and even some of the updated character designs are quite adventurous. Meanwhile, the soundtrack is intense and carries a different feel from those used in the previous films. 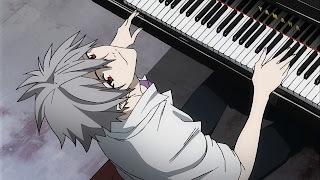 It is largely comprised of brand new songs, all of which fit the mood of the film very well, from scenes where Shinji and Kaworu are playing the piano to segments where events prior to the film are explained. And of course, the classic Eva battle themes see a few new renditions, with the occasional inclusion of a heavy electric guitar part. Evangelion 3.0: You Can (Not) Redo zooms in on a very specific place and time in the storyline of this new film series. Whereas Evangelion 1.0 and 2.0 consolidated events most Evangelion fans were familiar with, 3.0 has to slow down and bridge gaps. While it may not answer every burning question fans have about this new film series' story, it does well to set in motion an endgame. By the film's conclusion, viewers should get a sense that there a clear goal in mind for the fourth film's plot, even if we don't know exactly how Hideaki Anno and his team intend to let it play out.